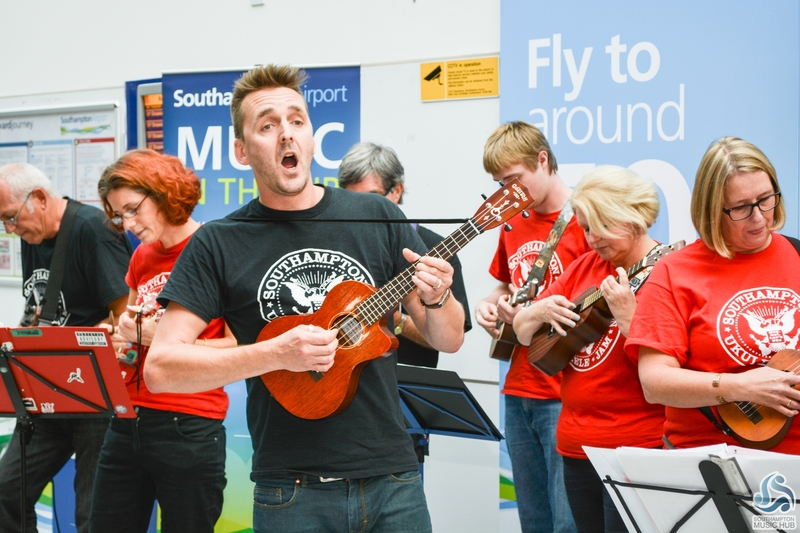 Music in the Air returns to Southampton Airport Friday evenings at Southampton Airport are being given a musical twist this summer as the airport plays host to a series of short musical performances by talented local musicians. The fun begins today Friday 16th May. Music in the Air is a collaboration between Southampton Music Service (the lead organisation for the Southampton Music Hub) and Southampton Airport. It’ll see a range of musicians from saxophonists to acoustic rock bands, youth swing groups and electric string acts entertain passengers as they arrive and depart. Each Friday evening will feature a different group of musicians and style of music to keep the terminal entertainment fresh and lively. Music in the Air begins at Southampton Airport today with a performance from Groove Merchant at 5pm. Performances will then run on Friday evenings until 11th July (with a break for half term on 30th May) from 5:30pm. Music in the Air is free and open to all passengers and the local community alike.